Jennifer Stewart: Bananas for Byzantium! 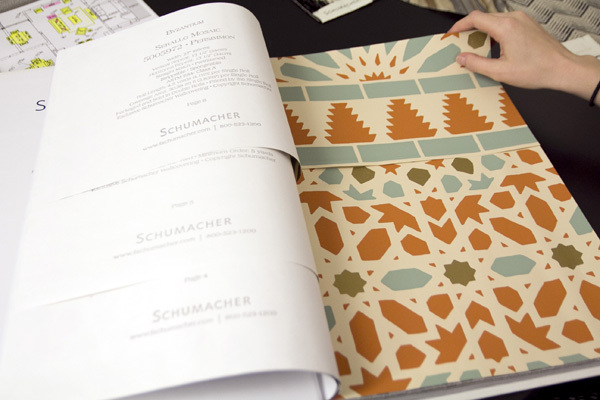 When we received the new book of Byzantium Wallcoverings by Schumacher, J Banks Design Studio Coordinator, Diane Lancaster, knew to take it straight to our Expeditor Jennifer Stewart for a first look! Jennifer has long had a swatch of the Shockwave fabric in black and jet at her desk. 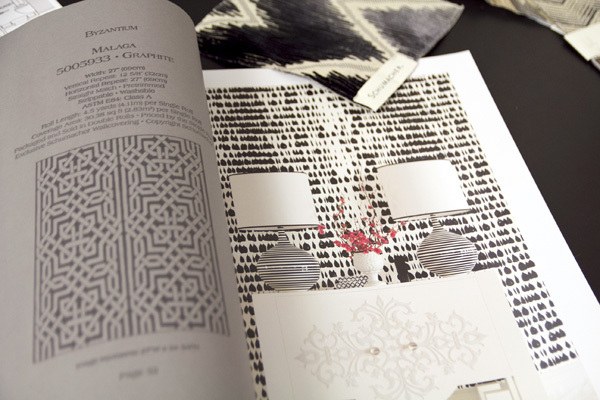 She opened the new book and immediately paired it with the new Queen of Spain wallcovering in black and was smitten! In addition, she loved the Nasrid Palace Mosaic pattern in persimmon. With so many beautiful new introductions it is easy to understand how it was difficult to pick just one favorite! “Byzantium, the legendary and magnificent crossroads connecting east and west, sets the scene for this collection of exquisitely printed wallcoverings. 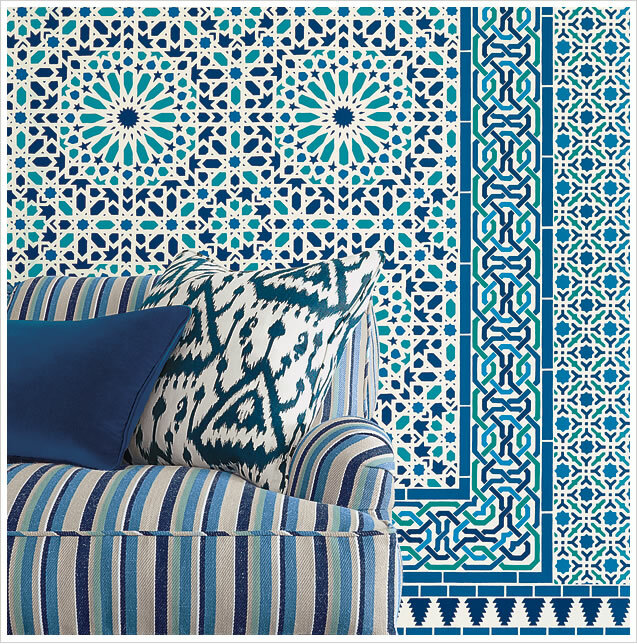 Decorative geometrics, graphic borders, and tribal ikats are inspired by elaborately patterned mosaics discovered in the grand palaces of Marrakesh, royal chambers in Istanbul, and archways of Valencia.